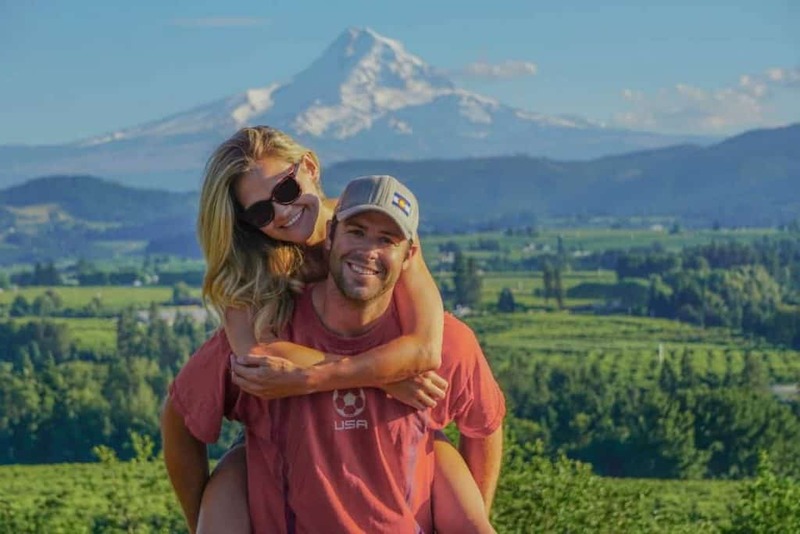 Lindsay and Dan McKenzie of FollowYourDetour.com have always had a travel bug. For the past ten years, they’ve been traveling as often as possible, visiting ten different countries together, and even living in Costa Rica for a spell after getting married. But eventually, they started to feel pressure to settle down. But before they did anything drastic, they knew they needed to pay off a whopping amount of debt. Lindsay and Dan had debt from a large suburban 3-bedroom home, plus credit card debt from furnishing that home, two cars, and student loan debt from earning both bachelor’s and master’s degrees. The debt totaled $300,000, and the couple didn’t know where to begin. They then worked to aggressively to pay off credit cards and attain financial freedom. They eliminated expenses and decreased spending to free up money for those monthly payments. “We quickly realized that the more debt we were paying off, the more money we were freeing up to put towards the remaining debt, like our car payment and student loans,” she said. They both got raises at their jobs and a small inheritance from Dan’s grandmother’s passing. In the past, they would have been tempted to use that money for a vacation, or a fixer-upper home, or a shopping spree. But this time, they knew they wanted to pay off debt. “After three years of very diligently budgeting together as a team, we did it! The feeling is so hard to describe. It was a weird feeling to put a large amount of money towards something you couldn’t physically touch or experience,” Lindsay said. “But at the same time, it has been absolutely freeing. We finally feel as though our hard earned money is OURS and going towards our future instead of our past. It’s opened up a whole new world for us and money is no longer a barrier to us living a life we love and chasing our dreams. Lindsay and Dan started out their life change by first moving to Raleigh, North Carolina, where they spent weekends exploring nearby towns. 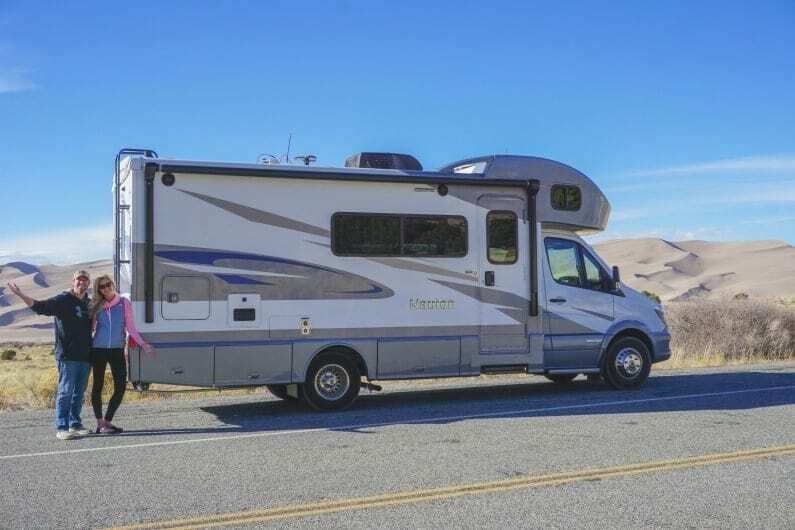 The travel bug was back, and the couple caught a glimpse of what it might be like living on the road full-time. “Every couple weeks we’d find ourselves on road trips to other nearby cities. We were so genuinely happy on these short weekend trips and would find ourselves not wanting to return back home each time,” she said. 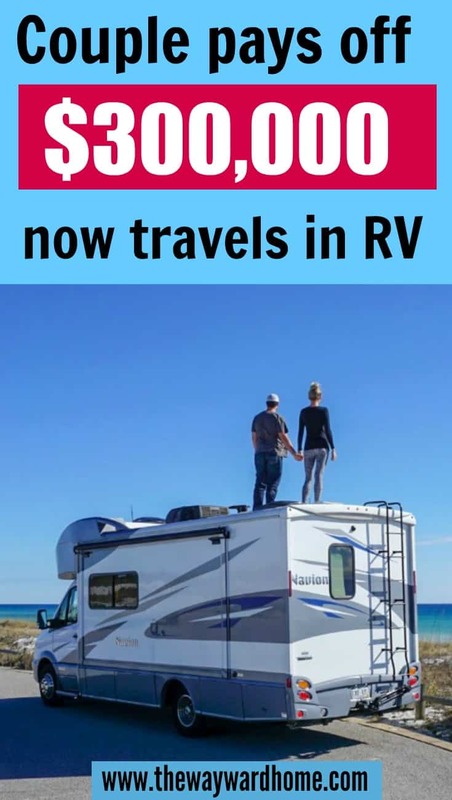 So, they decided to pull the trigger and move into an RV. Full-time traveling can truly be as expensive or inexpensive as you make it. 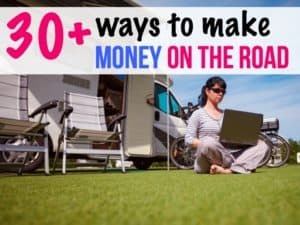 Whether you choose to RV, house sit, stay at Airbnbs, or couch surf, there’s something for every budget. However, monthly expenses can fluctuate and be unpredictable with the full-time travel lifestyle. 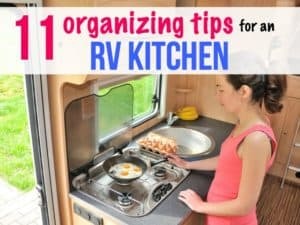 “With the RV, we could spend anywhere from $0-$1,000 per month on parking, gas, activities, etc. Most of my income, being freelance work, is also unpredictable. 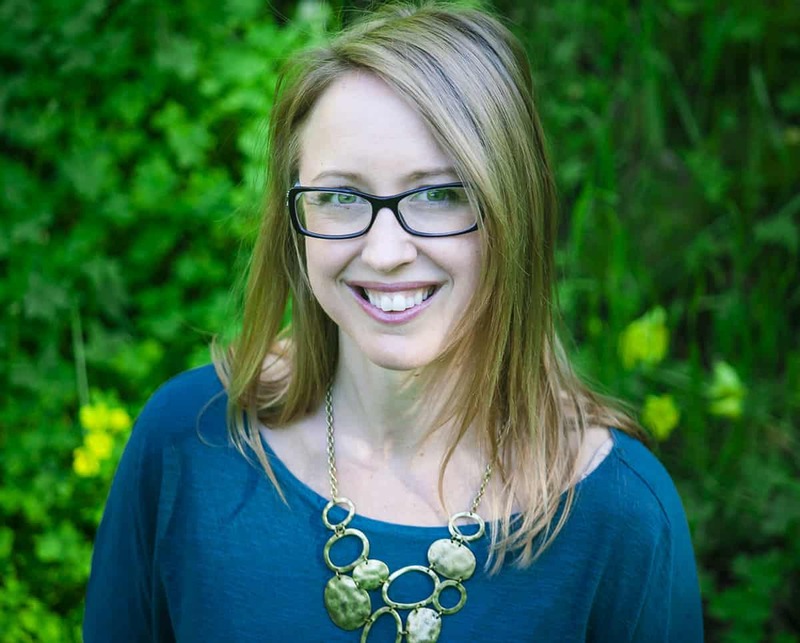 So having a good system for budgeting and being in control of our money and spending is crucial,” said Lindsay. Plus, being financially independent allows them to choose how they live and where they go every month. 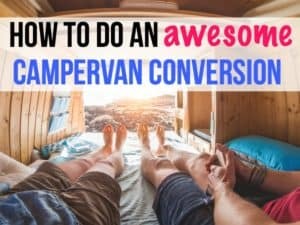 “If we have big savings goals, we can reach them quicker by slowing down our travel, finding free places to park and doing free outdoor activities. Or, on the flip side, if we arrive in a bucket list destination, and want to really live it up, we can splurge and make up for it the following month. We have much more flexibility and control. If we still had our debt, this wouldn’t be the case,” said Lindsay. Lindsay and Dan say budgeting has truly changed their lives. Before they started keeping a budget, the couple had no idea where their money was going every month. This approach to finances could sometimes lead to arguments, and feelings of guilt on behalf of both. “We would get defensive if the other person questioned our spending habits, and every month would end with frustration because we had no clue where our money was going. We weren’t saving a dime and our debt was gradually increasing,” said Lindsay. They read a bunch of books and took Dave Ramsey’s Financial Peace University course, which helped them realize the importance approaching finances as a team. They began meeting monthly to review their debt, discuss spending, set goals, and have conversations about money. 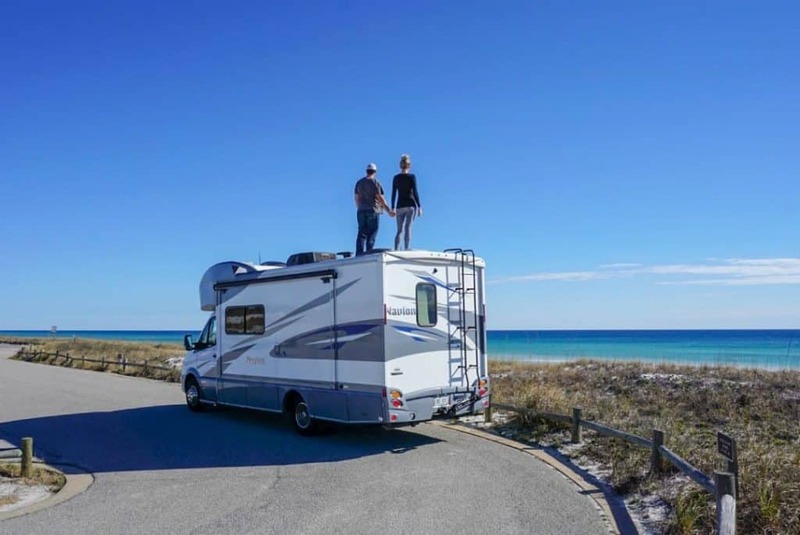 The couple are enjoying their RV lifestyle and financial independence so much, that they wanted to help others achieve the same goal. So, they started a program called, “Finance Your Detour,” which is a budgeting tool that shows people the exact process they used to pay off debt. “We created ‘Finance Your Detour’ after receiving a countless amount of messages from our readers and followers that all asked the same question…”How do you afford to travel full-time?”. We struggled to answer the question because it seemed so simple to us. 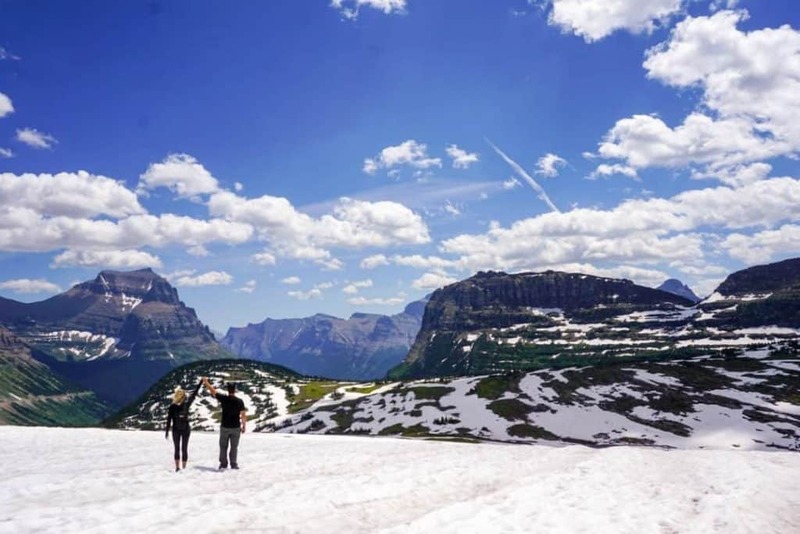 We aren’t rich, we just budget, make travel a priority, and live minimally,” said Lindsay. But, they remembered back to the time before they had a budget planner and paid off debt, and how often they would assume they couldn’t afford full-time travel. They used to envy people who lived such a free and adventurous life. They hope to inspire people to take their own detour in life and follow their travel dreams. 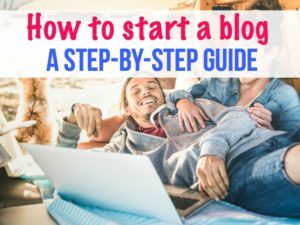 And the first step to that is financial freedom. 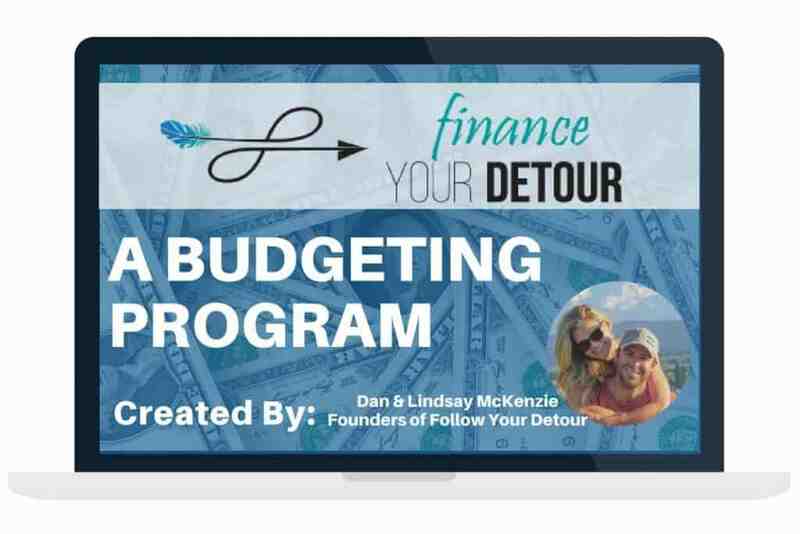 And check out their budgeting planner at: Finance Your Detour.